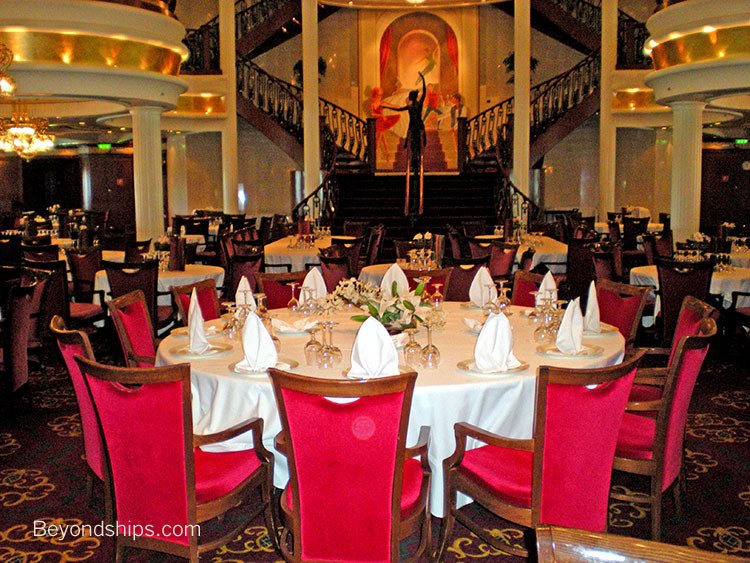 Navigator of the Seas has one main dining room - - the Sapphire Dining Room. 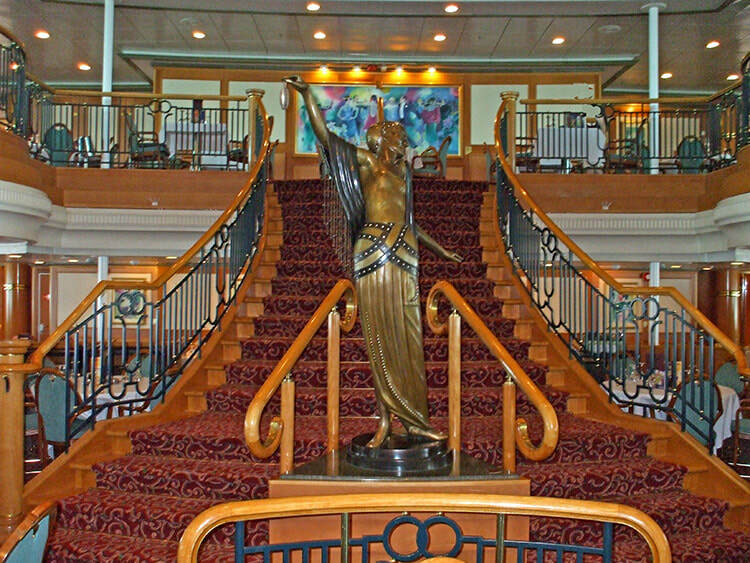 It is a huge cathedral-like space, rising through three decks towards the stern of the ship. A giant chandelier, pillars and a sweeping staircase create an elegant atmosphere. The Sapphire is open for breakfast, lunch (sea days) and dinner. 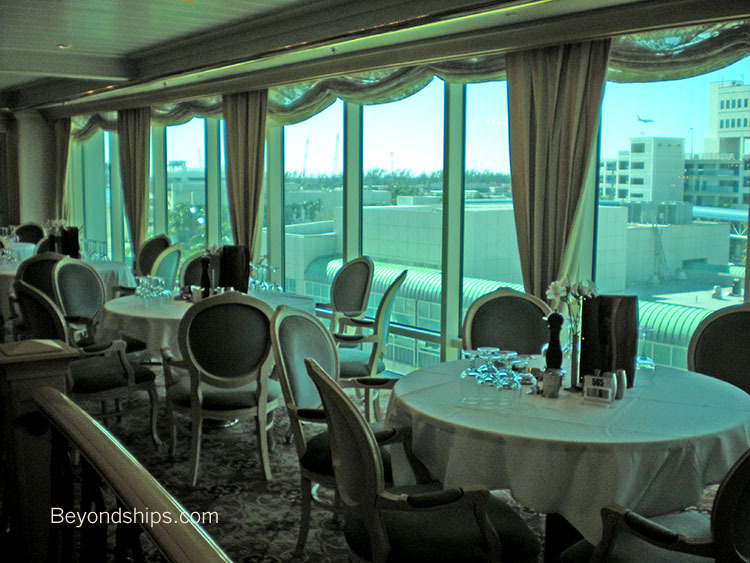 For breakfast, the portion of the restaurant that is on Deck 3 offers a buffet. The portion on the Deck 5 balcony has ala carte service. Both portions are open seating. Lunch is also open seating. 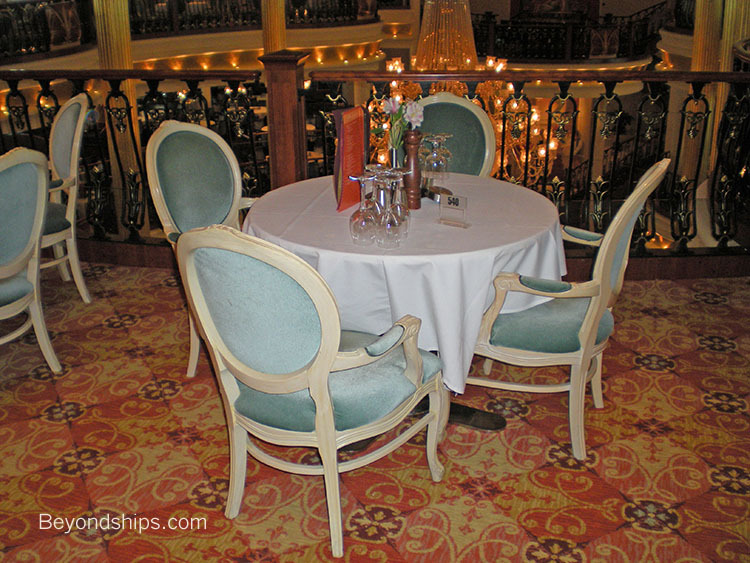 At dinner, the portions of the restaurant on Decks 3 and 4 follow the traditional system with each passenger assigned to a specific table at either the main seating or the late seating. 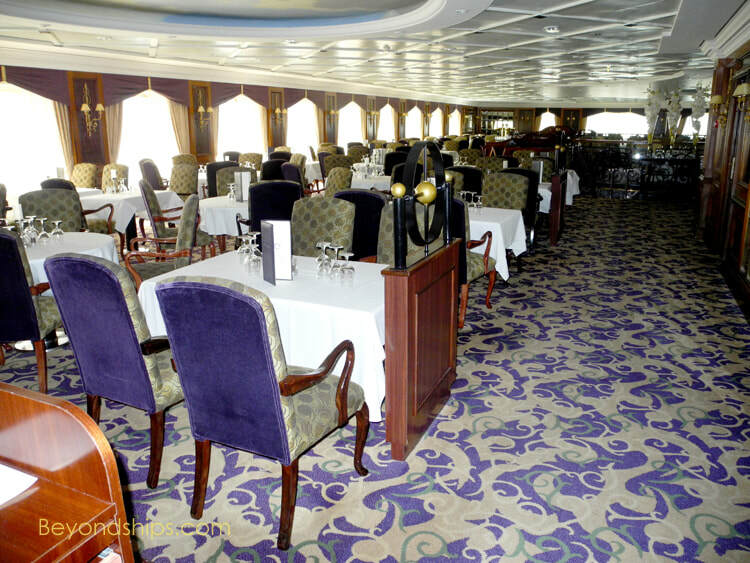 The portion on Deck 5 follows a flexible dining system. Each guest who opts for this system can dine there any time the restaurant is open. 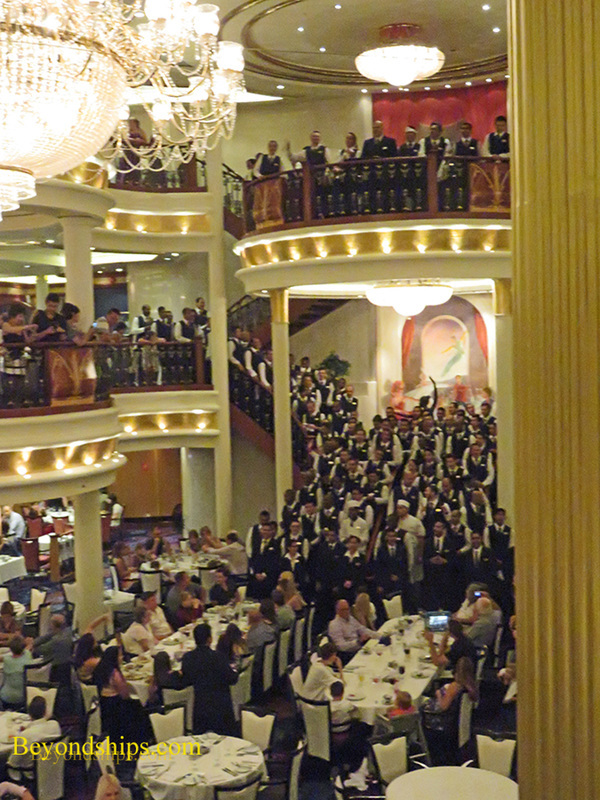 There is no specific table assignment so a guest may not have the same waiters or table companions throughout the cruise.